Using a quality internal healing clay can help to resolve sleep disorders caused by metabolic problems and digestion issues. ...So, I went back to the clay last week and now for almost a week, I have drank the clay water and slept like a baby. And the best part is that once again I dream! Taking the pills, I never dreamed. It is healthy to dream. I am now sleeping at least 7 hours each night, and I never wake up at all. Now I am waking up around 7:00-7:30 am, and suddenly I have more DAY TIME and I am getting more done and have more energy. The longer I take the clay, the more energy I have, because I am getting--finally--the rest that I need and getting it in a natural, safe and healing way." The above article also contains notes about the homeostatic nature of clay, clay and the digestion system, and clay use with medical prescription drugs. "Just as Mount St. Helens recently covered some western states with volcanic ash, a volcano covered Indiana with ash long ago. About 380 million years ago, violent volcanic eruptions in what is now central Virginia threw a great amount of ash into the air. This ash covered much of the present eastern United States. Near the vents, ash beds are about 200 feet thick. The beds decrease in thickness westward, and only a bed a few inches thick marks the event in Indiana. This ash bed, deposited in the Middle Devonian Period, is the Tioga Bentonite. The Tioga Bentonite can be distinguished from the surrounding rocks, and it can be traced on geophysical well logs throughout the eastern United States. Analysis shows the presence of the clay mineral potassium bentonite, along with angular quartz fragments and well-formed crystals of feldspar, mica, and zircon, which had begun to form deep in the earth before the ancient eruption. " Bentonite, an aluminum silicate, is a clay mineral that is a part of the smectite class of clays ( smectite is one of the 7 classes of clays ). It is an evolved volcanic ash, which has gone through a literal developmental evolution lasting hundreds of thousands to millions of years. Hydrothermal variations and the presence of various minerals both have a role in the self-selective development of bentonite. "Slowly, the glass component of the ash was chemically altered in these low energy marine environments and consolidated into distinct layers of clay, often associated with Zeolite beds, marl, sandstone as well as shale and mudstone." - NAUE GmbH & Co. Deposits of bentonite/montmorillonite clay, which have been naturally protected from environmental dilution and contamination, are mined worldwide. "Bentonite is a dark-grey to dark-green clay-rich rock composed of mostly montmorillonite, with minor concentrations of cristobalite, zeolite, and quartz, among others. 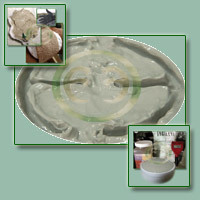 Bentonite formation occurs when volcanic ash is altered by low-grade hydrothermal alteration. Alteration products of this type are distributed within Tertiary strata in Yamagata, Miyagi, Gunma, and Shimane Prefectures." "During the Laramide, volcanoes erupting to the west spewed ash that was carried by the wind to western North Dakota where it washed into wet areas - lakes and lagoons. With the passage of time the ash was transformed to bluish, bentonite clay layers that can be seen today in the badlands areas (Figs. 5 and 6). Bentonite is composed principally of the clay mineral montmorillonite, which if it contains sodium as an exchangeable ion, can swell conspicuously when wet; calcium bentonites are only slightly swelling or non-swelling. The Sentinel Butte bentonite is an iron- and sodium-rich montmorillonite, one of three major Paleocene-age bentonites in North Dakota shown to have been derived from volcanic ash." The physical properties of clay material are largely determined by the clay-mineral composition. Not until the techniques of x-ray diffraction, differential thermal analysis and electron microscopy became available, did it become possible to extract, identify and study clay minerals. Some common clays originate in sedimentary basins. When waters of unusual chemical composition enter into sedimentary beds of clay materials, the fascinating changes that produce living clay begin. For example, water high in silica, iron, or magnesium from igneous activity of water and rock, yield minerals of extensive composition. This environment serves to direct the clay mineral changes taking place at a greater rate than in active sedimentary deposits. Studies reveal fragmentation and hydrolysis of parent materials is accentuated in geochemical or hydrothermal environments indicated by pools of bubbling mud. When the clay minerals are in a heated environment, they lose a water molecule, which renders them electrically negative. This loss is accompanied by some disruption or alteration of structure, depending on the primary type of mineral structure. In hydro-thermal temperatures structures disappears. Depending on the nature of the mineral and the presence of small amounts of extraneous elements, this disappearance is followed by the development of new crystalline phases of fusion. The transformation of clay mineral from one crystal structure to another in such an environment, shows regular sphere outline. Where montmorrillonite is unaltered, mineral spheres and hexagonal outline entirely. This suggests a much less developed mineral composition. The formation of clay mineral spheres in this manner starts in the primitive molecule of solid granite or a similar substance. Each minute particle is thus prepared in a way that it can become an ion, essential to the human cell. As each particle of living clay takes its place it creates its own ionic field of energy. Incomplete hydrolysis of the clay particle to the individual mineral sphere denies it the ability to take electrical charge. Therefore, the complete hydrolysis of clay is necessary for its use by the human cell. The biological functions of the human body require essential minerals in the ionic state. So essential are these constituents that without them life does not exist. From these specific, basic mineral spheres the vital trace minerals the evolve. The movement of life proceeds from the constant changing on one element into another. Breakdown of solid mass to a particle is influenced by the environment. Eventually the seven basic types of clay are formed. Studies in the science that deals with the interaction of living organisms in relationship with the mineral environment of the Earth's crust, leave no doubt of our dependency on them. The instinctive use of clays as an integral part of the existence of primitive people is verified scientifically today. All of these procedures have shown that clay materials are essentially compose of externally small particles, generally less than several microns in diameter, and a few crystalline compounds knows as clay minerals. A given clay material can be composed of a single clay mineral or mixture of them. Chemically, the clay minerals originate in particles composed of alumina silica and water. Sometimes in addition there is iron, or magnesium, or both. Certain clays also contain alkalis and alkaline earth materials. Such components determine the physical property of clay mineral, especially crystalline components and their atomic structures. It is important to recognize that knowledge of atomic structures is fundamental to understanding the properties of clay minerals. The mineral spheres in clay are arranged in a regular three dimensional pattern. The spheres are building blocks of the clay minerals and the arrangement of the spheres is determined by the type of mineral. 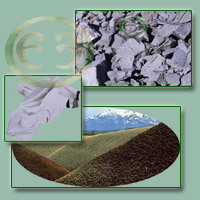 The character of the clay mineral group determines the type of clay and its eventual use. An understanding of the properties depends on an understanding of the clay mineral structure. The clay minerals are the sole determinants of the eventual structure and any non-clay minerals are merely dilutants. Of the great diversity of clays in nature, the most common in its natural state is the illite group. Its availability has brought it into the industrialized world to fill many manufacturing needs. However, layered silicates such as these are not presently researched for human or animal nutrition. These include all the kaolin group where only partial replacements of aluminum by iron, magnesium, nickel, or manganese occur. These white illite rich clays were used to make some of the first Indian ceramic objects, because temperatures used to fire them were low. Indian beads took the colors easily when they were formed from common clay. Modern industry has learned to purify these clays and increase firing temperatures to make various industrial porcelain products as well as filler and coating in paper production. Coatings for masonry surfaces also contain these layered silicate, clay ingredients. Of the clays used for human nutrition, the montmorillonite is the most common in nature. Because of the unusual properties of this clay, it has proven to be most recognized in research for its use in the human body. Montmorillonite clay was originally named after the town of Montmorillan in France. These clays were commonly used by early cultures, both medicinally and nutritionally. Clay was put aboard vessels departing from French ports. It was used in the holds of ships absorb odors and moisture. However, the sailors traditionally reserved supplies of these clays for dysentery, burns, boils, sore mouths, and other internal and external disorders. Its fame spread in each port with tales of its use. Legends told of a ship adrift at sea. Drinking water had become badly contaminated and the sailors became sick when they drank it. One old "saltie" told them to put the clay in the water before they drank it. This made the water drinkable and no more sickness occurred. As a result of this tale, clay was put into all of the drinking water taken on at each port and the dreaded dysentery was conquered. On early steamships, the men feeding the boilers dipped their hands and arms deep into a thick clay solution to form a protective coating from the heat of the furnace. Covering their faces with these smooth textured clays protected them also from burns. This practice spread to the deck hands to prevent sun burning. Where the clay was removed, the skin was clear and healthy. Burns and wounds had healed as well. Clay became an item of barter at seaports. Clay of certain textures and colors were valued far above others for human use. These early observations indicating the differences in clays, are now verifiable in research. The term active or "living clay" is born of research denoting ionic exchange capacities of given clay minerals. In the montmorillonite group of clay minerals called smectite, its micro crystals are extremely fine grained, irregular, and thin layered. The layers contain ions that are loosely bound and easily exchangeable, a characteristic which gives smecitites the properties of absorption and adsorption. This means that in clay found in the desert regions where temperature is high and water scarce, leaching is minor. The washing away of the ions, and chemical hydrolysis is almost nonexistent. These clays are richer in silica and alkaline earth minerals. In the hydro-thermal state the synthesis of new clay minerals increases. Ions of silicon, aluminum, iron, magnesium and potassium are concentrated. Evaporation of the water greatly increases the trace mineral content and leaves the ions negatively charged. As these ions enter the human body in this form, they respond to gastric activity to become electrons. Adsorption takes place as dissolved matter is assimilated on the membrane surface. This begins the process of absorption as nourishment is changed into living tissue. This creates very favorable conditions for human consumption of living clay minerals. Recent research has shown that a number of organic substances formed by a combination of two or more molecules can be bonded to the surface of clay minerals. A number of investigators think the adsorptive properties of certain clays may have played a crucial role in the origin of life. The hypothesis arises as a result of the effort to simulate the conditions under which amino acids may form proteins within the human body. Experiment showed simple amino acids formed into the longer chains called peptides on the surface of clay particles. It is thought that clay acts a catalyst for the information of long peptide chains, or proteins. The hypothesis was tested experimentally in America and abroad. Scientist added one amino acid in solution to various clay minerals. Then they exposed the clay to temperature and moisture variations. The main findings were that more peptides were produces at various temperatures when clay was present than when it was absent, and that production peptides was a significant advantage in the presence of protein conversion. Protein conversion to amino acids in the human body can fail to proceed normally through peptide chain without all the necessary constituents, thus preventing its use entirely. This confirms the nutritional benefit of dietary clay. On the basis of these findings the three investigators propose that temperatures and moisture bring about distribution and redistribution of amino acids on the surface of the clay particles that favors the amino acid linkage into peptide chains. 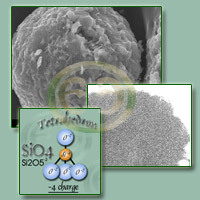 As moisture touches the surface of the clay mineral, the active site on the surface that speeds the formation of peptides from amino acids is cleared. When the moisture is absorbed, new sites become available for other amino acids to form a new chains. This continuous function, completely dependent upon clay type minerals in proper configuration, synonymous with life. "All sorts of macaws converge at a small area on the main claylick outside the Tambopata Research Center. The claylick is pretty much a simple cliff face. Somehow all of the birds know that if the clay they eat in the morning will dispell the toxins in the poisonous fruit during the day. They only need to eat clay during the times of the year when the non-poisonous fruit is not available. Many species of parrot know to do this. How do they all know? When did they learn? 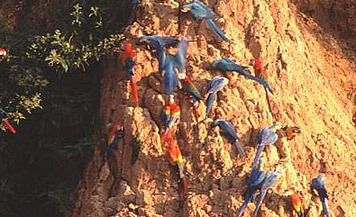 How did they discover this amazing property of the clay and propagate it to the rest of the parrots?" Read more about indigenous habits and instinctual use of edible clay minerals in our bentonite articles section.